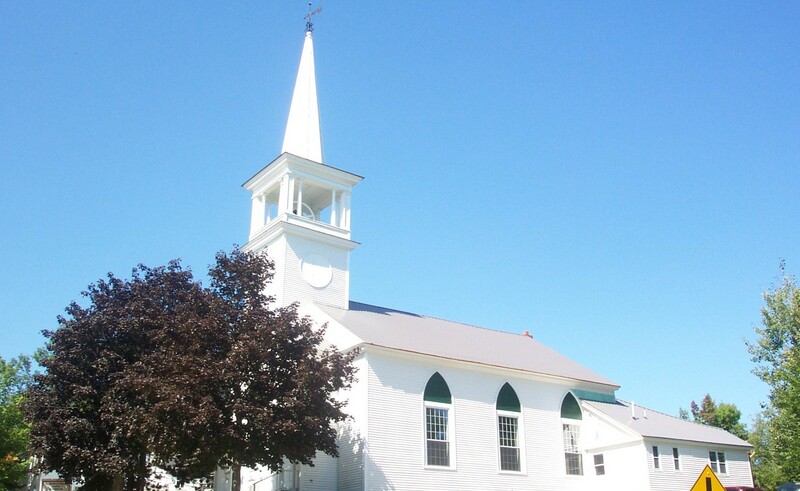 The Congregational Church in Limington was founded in 1789 when six men covenanted together to present themselves and their families to the work of the Lord in Limington. They pledged to governing themselves by the Holy Scriptures with the help of the Holy Spirit, conform their lives to the rules of the gospel, and order their ministry according to the Cambridge Platform of Congregational Churches, the rule at that time. Our first minister was Reverend John Adams, a circuit preacher, who ministered to several towns in the Ossipee region. In 1793 the church called a permanent pastor, Jonathan Atkinson, who was ordained and installed on November 12, 1794. In 1835, the original meetinghouse was torn down and the current building was erected with the bell and tower added in 1836. The church has seen many pastors since that time and continues to order itself according to the original covenant of 1789. In 1965, we began our association with the Conservative Congregational Christian Conference which has helped us find pastors, lifted us up in fellowship and prayer. In the fall of 2011, the congregation voted to change our affiliation to the Orthodox Presbyterian Church and will now be known as the Limington Orthodox Presbyterian Church. Our current pastor, Reverend D. Leonard Gulstrom, was called from Anchorage, Alaska, and installed in May 2003 following a thorough national search. He is a graduate of Mid-America Reformed Seminary. He and his wife Sonya have seven children with the last one headed to college in the fall. Our current active voting membership is sixty-two members. We have an active ministry of Sunday School, Sunday morning worship and evening worship, choir, mid-week Bible study and prayer meeting, weekly fellowship meals, food pantry, deacon’s closet, local and foreign missions. In 2002, we sponsored a group of ten on a mission trip to Costa Rica to help Latin American Missions construct a recreation area for young people. God has been faithful to His church here in Limington. By His grace we hope to continue to be faithful to Him and our covenant with each other as we work together in the work of reconciliation (II Corinthians 5:11-21) and the Great Commission (Matthew 28:18-20). The Limington Orthodox Presbyterian Church is a church made up of sinners saved by grace alone, through faith alone, in Christ alone. Our trust and our hope is in Jesus Christ who is able to finish the work He has begun in us (Philippians 1:6). By His perfect life of obedience and His substitutionary death as a sacrifice on our behalf and in our place, He has purchased everlasting life for all those who believe (John 3: 14-15). We respond to so great a salvation by doing His will as it is revealed in the Scriptures (Ephesians 2: 10).